With a sense of adventure, a call to service, and a touch of defiance, twenty-one-year-old Anita Bloom enlisted in the army. It was 1943, less than a year since the Women’s Auxiliary Army Corps (WAAC) had been formed when one day, a elegant-looking woman in WAAC uniform entered the store where Anita worked. Anita followed her every move. Her exciting journey began when she shipped off to camp and immediately became fast friends with several other new soldiers. Together, they memorized army regulations, went to map reading class, and learned how to march. The young women in camp were of many different backgrounds and beliefs. Encountering anti-Semitism, Anita learned the importance of moving past differences as she acclimated herself to Army life. Anita didn’t even notice the bite-sized cut on her thumb at first. Eventually it started hurting, becoming painful enough to keep her up at night. When she sought medical attention, the technician’s indifference forced her to continue on with her regular Army duties. Yet as the cut became seriously infected and the pain in her hand, spreading to her back, became unbearable, Anita was sent to a civilian hospital. Gradually losing sensation in her legs, Anita feared for her life. Eventually, she was transferred to an Army hospital where her doctors, unaided by penicillin, could not arrest the infection. An operation saved her life, but she lost the use of her legs. Discharged from the Army and placed in a VA hospital, her new friends were the battle-scarred, paraplegics wounded in active service. 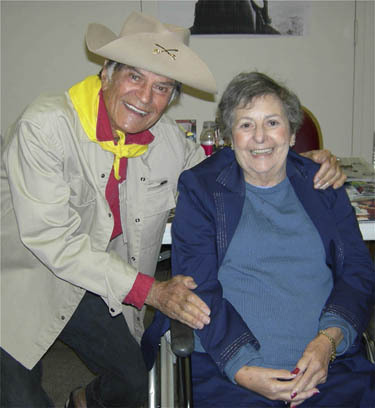 Read about Anita Ornoff’s reunion with Televison’s Larry Storch. Enticed by the claims of its director, who assured her that she could learn to walk normally again, Anita anxiously left the VA hospital for a new experimental facility in upstate New York. Her enthusiasm turned to disappointment and finally despair as she discovered his total lack of commitment to her care. Even though Anita had been exploited, she came to realize that her choice to leave the VA had been providential, for it was in this unpromising makeshift hospital that she met John Muller, the physical therapist who would change her life forever. John’s perseverance inspired Anita’s resolve to prevail over her handicap. His patience and kindness inspired her love. Armed with leg braces and his faith in her, Anita came to realize her dream of regaining the independence which she so greatly desired. Anita freed herself from hospitalization and moved to New York City, where she overcame the discouragement of her family and the NYU medical board to seek a university degree. As Anita embarked on her fight to live a normal life, another struggle was just beginning—a struggle for justice. Denied veterans’ benefits, Anita tirelessly appealed to members of Congress to be recognized as a service-injured soldier and receive her rightful entitlements. The triumph that she eventually earned marked another victory in the battle to conquer her disability. 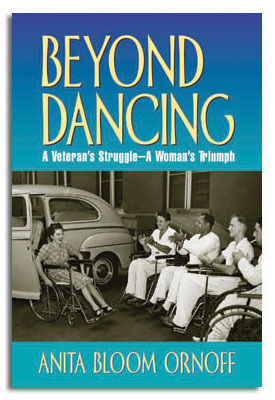 Beyond Dancing is Anita Bloom Ornoff’s story of rehabilitation, perserverance, and the empowerment of love. By accepting tender guidance, but not dependence, Anita fulfilled her dream of personal freedom, reminding us that the worthiest battles are seldom fought alone. Get your copy of Beyond Dancing now! 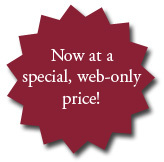 Order now through our online, secure server for the special price of only $17.00! Please add $3.00 shipping and handling for the first book, $0.50 for each additional book (Maryland residents add 5% sales tax). If you are interested in a signed copy, please call us at 1-800-953-9929.